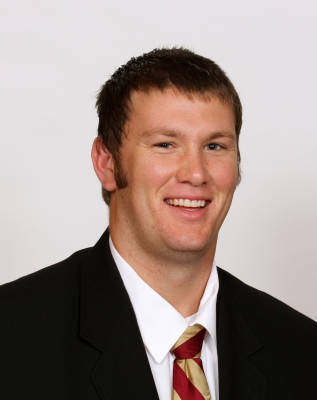 Walk-on offensive lineman, who was awarded a scholarship for the 2013 season by head coach Jimbo Fisher. Has continued to get bigger and stronger in developing into a solid reserve for the unit. Adds length at 6-7 to one of the biggest offensive lines FSU has produced in some time. Served as a reserve offensive tackle seeing some time at left tackle and also as a starter on the placekicking unit on special teams where he played all 14 games…played a season-high six snaps against Murray State. Served as a reserve offensive tackle seeing some time at left tackle…saw action in three games for the Seminoles playing against Duke, Maryland and NC State. Earned Scout Team Player of the Year honors on offense at the annual Florida State football banquet. Three-sport athlete at Robert E. Lee High School in Jacksonville, FL…played baseball, basketball and football all four years of high school…lined up mostly at tight end for Lee’s football team and earned Second Team All-City by the Florida Times Union in 2008…selected to play in Jacksonville’s Shrine Bowl All-Star game…also played in the Florida vs. Georgia border wars all-star game…awarded player of the week honors by the Jacksonville Quarterback club when he had six catches for 88 yards and two touchdowns while playing against Raines (Jacksonville)…voted by his teammates and coaches in 2007-2008 as Lee’s most outstanding receiver…received a preferred walk-on offer in 2009 from the Seminoles and accepted while turning down multiple offers from smaller football division schools…in 2010 earned FSU’s scout team player of the year on offense…born February 11, 1991.